I run my CloudStack lab environment on 2 Mac Minis running on ESXi 5.5. For a long time, I had faced the issue where tagged VLAN traffic between my CentOS/Ubuntu guest VMs simply refused to work. 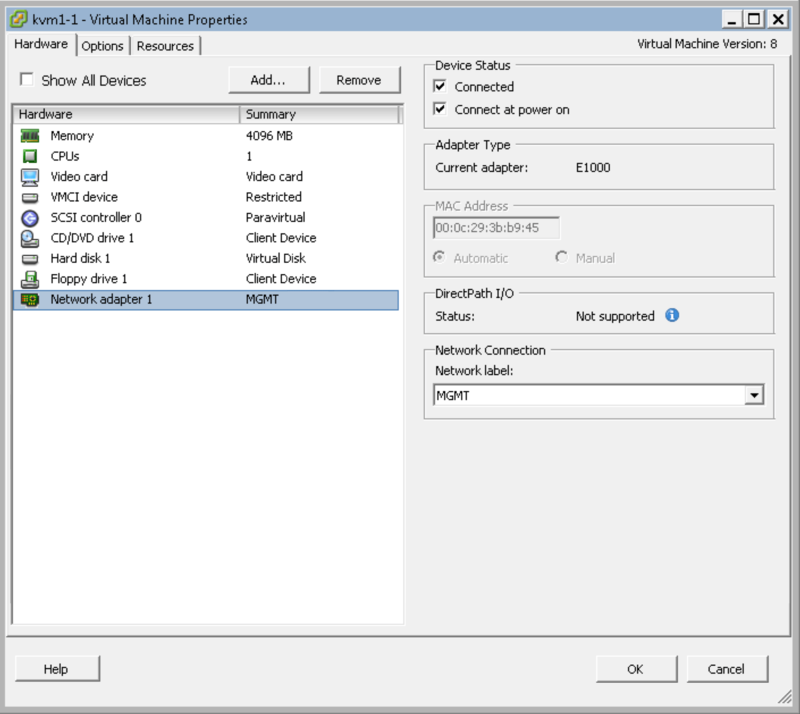 Changing the network adapter type from vmxnet to e1000 seems to fix the issue. PING 192.168.22.22 (192.168.22.22) 56(84) bytes of data. PING 192.168.22.21 (192.168.22.21) 56(84) bytes of data. You may also be wondering how non-IP traffic would be put through this calculation since there wouldn’t be an IP header and thus it wouldn’t have a 32-bit source and destination IP address for this calculation. As per the definition from the networking guide: “For non-IP packets, whatever is at those offsets is used to compute the hash”. This essentially means that two 32 bit binary values will be taken from the frame/packet from where the IP addresses would usually be located if it was an IP packet. It really doesn’t matter if these two 32-bit values are not actually IP addresses. So long as there is binary data in these locations, the calculation can still be applied to balance this traffic out across the adapters in the team. Previous PostPrevious What Guest Operating Systems Does CloudStack Support?